Disaster preparedness is a renewed preoccupation of many risk managers and businesses. This is particularly true in the wake of natural disasters such as hurricane/storm Sandy, tsunamis, tornadoes, earthquakes and the prospect of global warming. On a personal level, authorities and government entities urge individuals and families to develop disaster preparedness plans . . . just in case. 9/11 rocked our world and — at least for a while — prompted people to build or purchase emergency preparedness kits. On a lighter note, TV shows such as “Doomsday Preppers” on the National Geographic Channel garner strong viewership ratings. There is almost a morbid preoccupation with preparing for the apocalypse and — TEOTWAWKI — the end of the world as we know it (cue the REM tune). Into this genre comes Sam Sheridan, author of the new book “Disaster Diaries.” (Sheridan’s prior works include two excellent books on mixed martial arts.) The premise of “Disaster Diaries” is that Sheridan is schooling and preparing himself for surviving the upcoming apocalypse. This apocalypse could be a massive natural disaster such as an earthquake. It could come in the form of a zombie apocalypse. In any event, Sheridan posits a scenario where he and his family, living in Los Angeles, face a huge natural disaster that eventually forces them to flee their home and make do on foot. Think of Cormac McCarthy’s “The Road” in real-life. Each chapter addresses Sheridan’s first-person plunge into attempting to acquire survival skills that will presumably help him and his family survive the apocalypse. These include chapters on physical fitness, foraging for food, shooting guns, wilderness medicine, survival tracking, knife- and stick (escrima) fighting, surviving extreme cold conditions, etc. It’s hard to understand whether “Disaster Diaries” intends to be entertainment or a how-to manual for survival. Probably more the former than the latter. There is a chilling aspect and undercurrent to “The Disaster Diaries,” that being that most of mankind is woefully prepared to live off of the grid if it ever had to. Many of these doomsday preppers come across as kooks and worrywarts, but Sheridan focuses on skills needed for survival. Even then, survival may be a dicey proposition and all bets are off if the apocalypse comes in the form of some type of nuclear cataclysm. 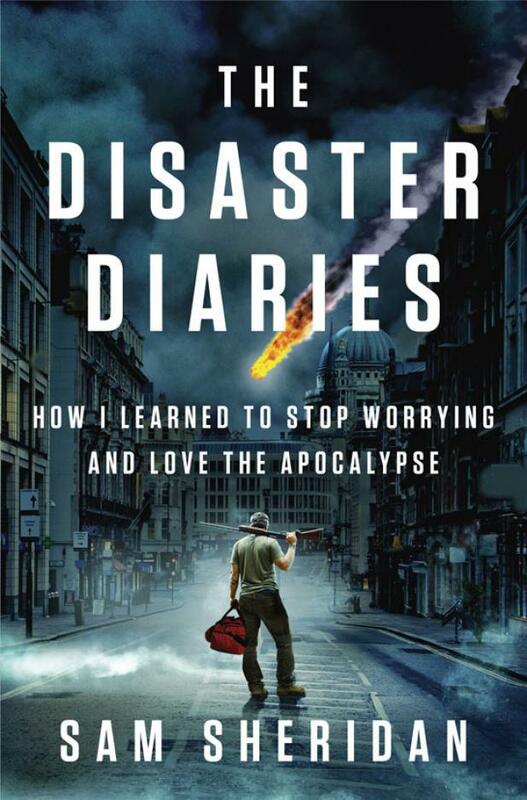 “Disaster Diaries” probably will not cause anyone to stop worrying more or to love the apocalypse, but it provides and interesting side trip into an American subculture and adds a whole new dimension to the topic of personal risk management.